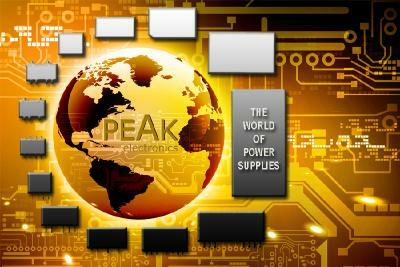 PEAK electronics, a leading supplier of DC/DC converters, AC/DC converters, switching regulators, and LED drivers, now also offers its proven switching regulators as open frame versions. The new PSR-78xxC(-OF) series switching regulators have an output current of 500 mA and the slightly larger PSR1-78xxC(-OF) versions have an output current of 1000 mA. 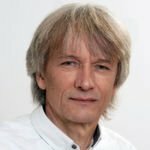 The price-optimized switching regulators are now also available with an even wider input voltage range of 4.75 to 36 VDC compared to the models offered so far. Depending on the application, the output voltage covers the range from 3.3 to 15 VDC. The efficiency of the two switching regulator series is up to 95 percent (500 mA) and up to 96 percent (1000 mA) in an operating temperature range from -40°C to +85°C. The slightly larger 1000 mA PSR1-78xxC types can optionally be ordered with 90° pins and open up a space-saving alternative where component height is critical. Both series are pin-to-pin compatible with the common 78xx standard. The PEAK electronics GmbH has a product portfolio of more than 20.000 DC/DC converter types. The comprehensive offering includes standard products as well as customized designs. 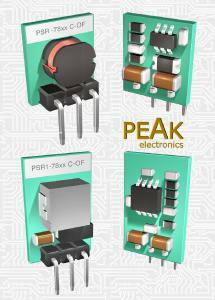 Furthermore, PEAK provides powerful AC/DC converters, regulators and LED drivers. 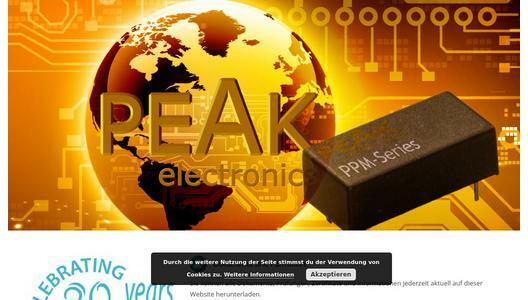 The PEAK electronics GmbH is certified according ISO 9001:2015 for the development, production and distribution of DC/DC and AC/DC converter modules.